Welcome to the first ever Scraptastical Kreations and Treasure Box Designs Mix it up blog hop! This day 1 of 2 of the hop so please be sure to check back tomorrow too! If you are here from Rhonda’s blog – you are on the right track! Otherwise, you’ll want to head back over to Scraptastical Kreations to start at the beginning – you DON’T want to miss a thing! We’re super excited to be doing this hop together! Our intentions for this hop are to show you all just how you can mix it up too. You will seem some awesome projects using both Scraptastical Kreations and Treasure Box Designs paper piecing patterns. 2. Become a fan of Scraptastical Kreations AND Treasure Box Designs. CLICK HERE to get to Scraptastical Kreations fan page and CLICK HERE to get to Treasure Box Designs fan page. Be sure to hop through the entire hop to be eligible for the grand prize, as well as all the other blog candy throughout! We hope you all enjoy this hop and find a lot of great ideas, inspiration, and most of all have loads of fun!! And keep reading…. because there’s MORE! Here is the complete line-up. Now ….. I have a special PRIZE for you all as well! I just have two simple requests…..
1. Follow me on Facebook HERE – make sure to comment on the fan page that you are from the hop. 2. Become a follower on my blog – if you are already a follower just let me know on my fan page or comment here. The i-top is so cool! You can make your own brads! 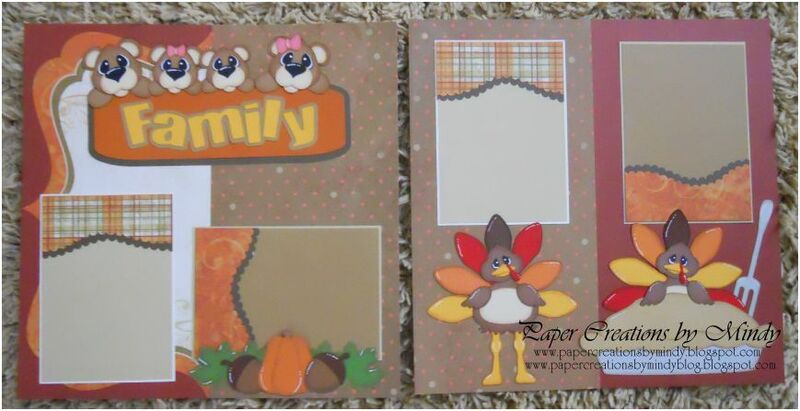 You can use material, patterned paper, even pictures! 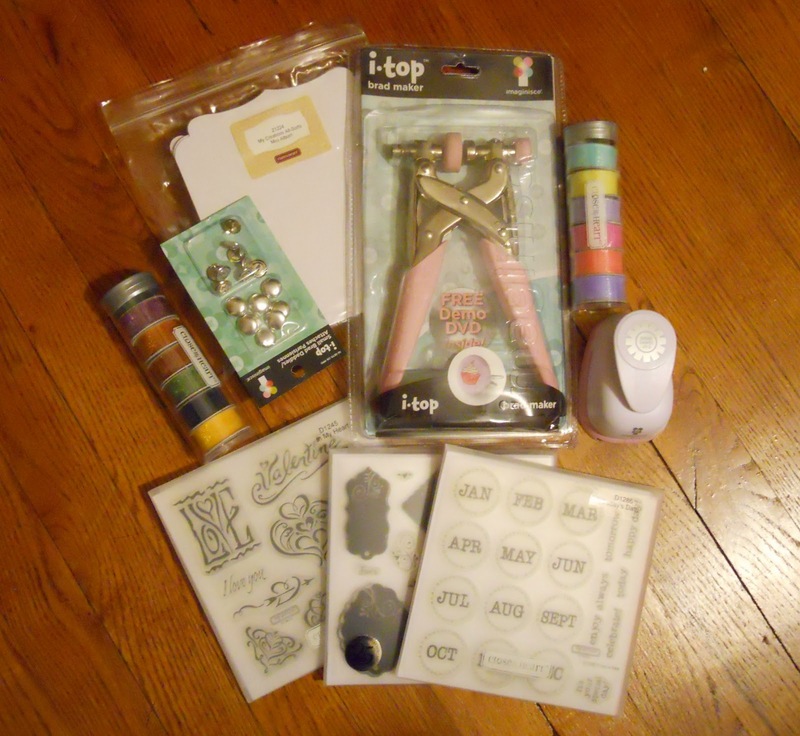 And I’ve included a few other goodies: Close To My Heart stamps, ribbon, and a chipboard album. Scraptastical Kreations & Treasure Box Designs Mix It Up! Day 2! Lovely! layout cute and fun. Super cute, Mindy! 🙂 Already a follower and a fan, surprise! lol Love having you on the team! super cute LO, love the pie and turkey!!! I am a new fan on FB. I am a happy follower here already. New follower. I love the bears~they are just the cutest. What a special way to honor your family. super cute use of the two co patterns , the layout is adorable!! Love the combined elements on the layout. 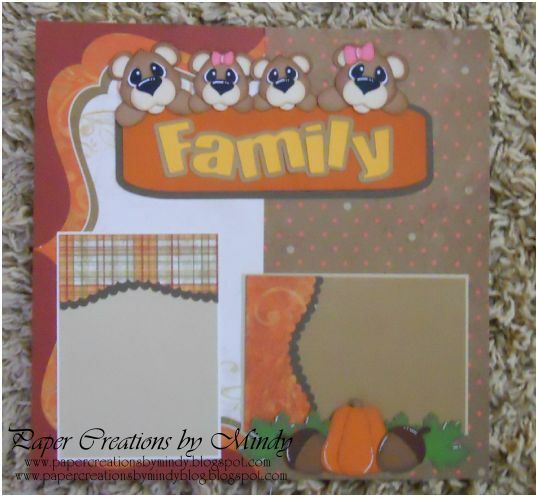 Super cute layout.. it's always about “family”! TFS New fan and follower! I am already a FB fan and Now a new follower here and love what I have seen so far!! Very cute Turkey!! Love the LO!! TFS!! And what awesome candy!! Too cute….love the Family of bears at the top. I am already a follower on you blog and just became a fan on FB!! TFS! This is a delicious LO. I like the warm colors that you used. And thanks for leaving a fork so I can dig into that pie!! I am now a follower and have stopped by your fb fan page. This is so cute Mindy, I love it! Love the family of bears. And your turkeys are very cute. New fan and follower. Like the combo and colors! And that does look like a very cool toy to play with! Thanks for the chance to win! Very cute layout, Mindy!! Great job!! This is SUPER cute! I need to make a similar one for my own album. Thanks so much for sharing! I'm a new follower on your Facebook and your blog. LOVE your work! 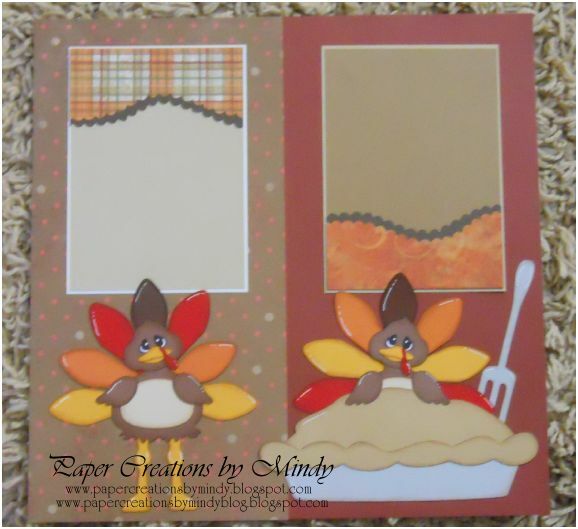 I love the bears and the turkeys, Super super cute layout. TFS.